Creetown Initiative is delighted to announce that £90,000 from the BIG Lottery Improving Lives fund has been secured, to provide support and develop activities for senior citizens in our community. ~ A monthly lunch club. ~ A Befriending/Friendship club which will include visiting those who are housebound and where possible take some of the activities to those visits. 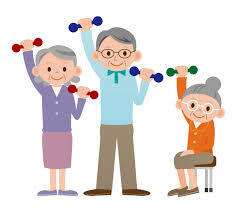 ~ Organise activities such as bingo, arts and crafts which could include making cards, calendars etc, a senior citizens exercise class such as T’ai Chi and chair aerobics. ~ Advice and advocacy service – assistance with finding affordable household insurance, utilities. ~ Transport to GP appointments/social activities/shopping trips. ~ Organise group health walks. ~ Organise visits from Fire Service accompanied by project worker to assess fire safety in the home. 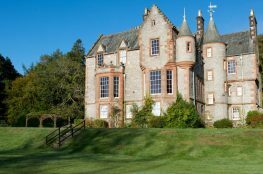 ~ Excursions – trips to the cinema in Newton Stewart, garden centres. Creetown has a high number of residents aged 65+. We know that feelings of loneliness and isolation can often lead to serious consequences for senior citizens’ health. While living alone does not inevitably lead to social isolation, it is certainly a predisposing factor. Social contacts tend to decrease as we age for a variety of reasons, including retirement, the death of friends and family, or lack of mobility. Regardless of the causes of senior isolation, the consequences can be harmful. Even perceived social isolation — the feeling that you are lonely — is a struggle for many older people. Research from Age UK in 2016 showed that there are 80,000 people aged 65 and over living in Scotland who felt lonely “always” or “often” whilst 350,000 said their TV was their main form of company. The effects of loneliness also exacerbate physical health problems and clear links have been found between social isolation and dementia, malnutrition and mental illness. Human beings are social animals – they aren’t meant to be on their own. People can become socially isolated for a variety of reasons, such as getting older or weaker, no longer being the hub of their family, leaving the workplace, the deaths of spouses and friends, or through disability or illness. 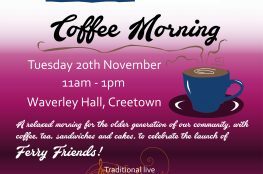 Through our project, Creetown Initiative wishes to tackle these issues and hopes to improve the lives of our older community members by increasing access to social interaction, improving health and wellbeing, reducing feelings of isolation and ‘not wanting to be a burden’ and providing support to live more independently. We are currently advertising for the two project worker posts and hope to begin this project by September. Please CLICK HERE for the 21 hour Project Worker Job Description. Please CLICK HERE for the 14 hour Project Worker Job Description. To apply for either position, please send your CV and a covering letter explaining why you believe you are suitable for this position to chris@creetowninitiative.co.uk, or by post to Creetown Initiative, 54 St John Street, Creetown, DG8 7JF. The closing date to apply for both positions is Friday 17th August, 5pm. For further information, please contact Chris Hanna on 01671 820654, chris@creetowninitiative.co.uk, pop into the Creetown Initiative office.